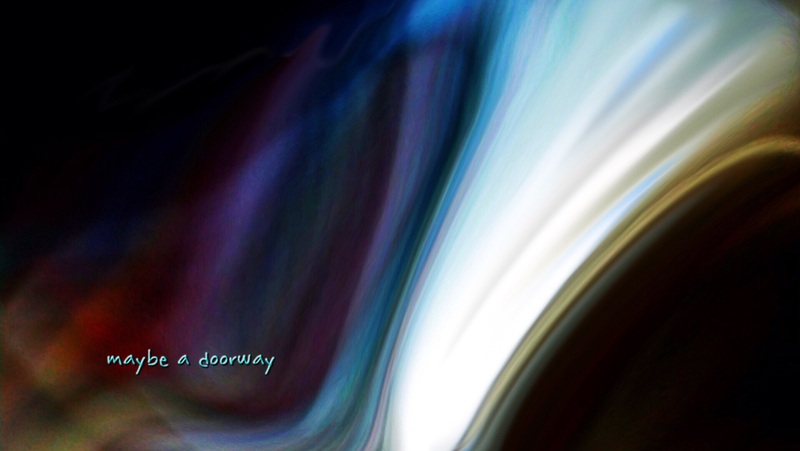 Within dreams, visions and conscious wanderings of the mind, the artist sees many doorways. It is always a decision whether to enter them. The general public would be cautious, but the artist knows that the visual, intellectual and emotional stimulation may lie inside the unusual. Also the spiritual frequently resides within hidden doorways. Translation of colors defines doorway purpose and motivations, red, blue or golden lining.